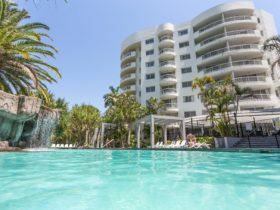 Set in the heart of Surfers Paradise and on the doorstep of the famous Surfers Paradise Beach, The Island Gold Coast is the perfect gathering place for guests of all ages to stay, play and relax. 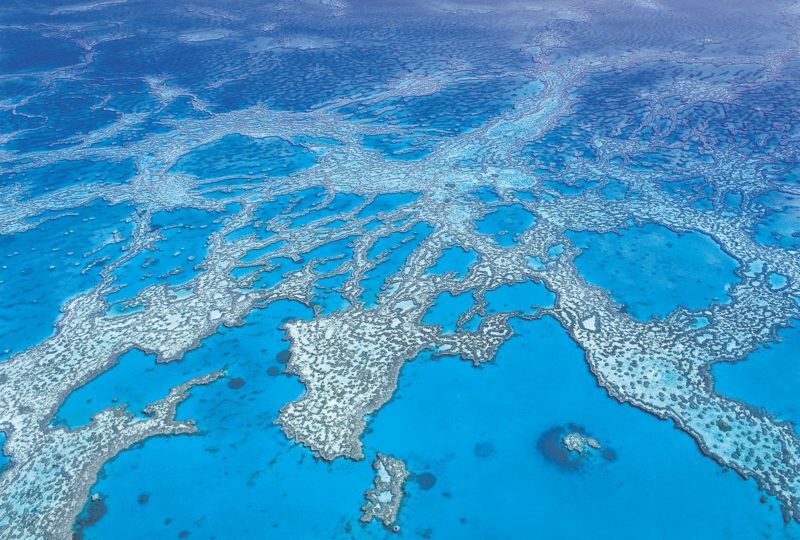 Meticulously designed and restored from head-to-toe, the Island’s renewed breath of life pays homage to the natural splendour of a Queensland seaside village with abundant hardwood timbers, native plant life and open facades – bringing the outside, in! 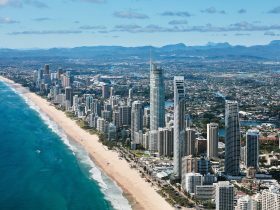 Immerse yourself in the Island experience and stay in one of the 98 luxurious, freshly renovated boutique rooms and suites, each with stunning views across either the Surfers Paradise Central Business District or the Gold Coast Hinterland. 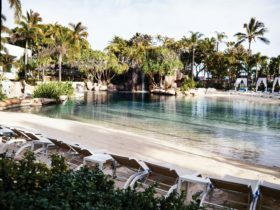 Enjoy a meal indoors or alfresco at the relaxing Island Pool Deck and Island Bistro or savour a classically crafted cocktail at the Island Rooftop. 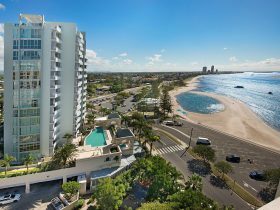 If you are looking for a boutique hotel stay the Island Gold Coast will truly set the tone for an unforgettable experience. Rooms feature a modern style with natural elements such as timber incorporated in the design. 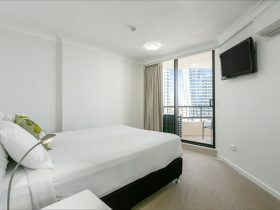 Rooms have partial ocean views over downtown Surfers Paradise. Rooms are spacious at 27m² with air conditioning and can accommodate up to 4 people. Each room has luxury linen and custom designed furniture. Rooms also feature a private balcony to take in the views, tea and coffee making facilities, mini bar, flatscreen television, and safe to store your precious belongings. Complimentary WiFi provided. Bedding configuration will be a King Bed. Rooms feature a modern style with natural elements such as timber incorporated in the design. Rooms have views over the Gold Coast Hinterland. Rooms are spacious at 27m² with air conditioning and can accommodate up to 4 people. Each room has luxury linen and custom designed furniture. Rooms also feature a private balcony to take in the views, tea and coffee making facilities, mini bar, flatscreen television, and safe to store your precious belongings. Complimentary WiFi provided. Bedding configuration will be 2 queen beds. The new king suites feature a modern style with natural elements such as timber incorporated in the design. Rooms are spacious at 45m² with air conditioning and can accommodate up to four people. Each room has luxury linen and custom designed furniture. 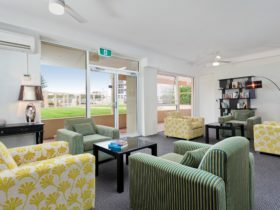 Rooms also feature a private balcony to take in the views, fully equipped kitchenette (features microwave, toaster, kettle, dishwasher, cups/plates/bowls, glasses and cutlery) , mini bar, flatscreen television, and safe to store your precious belongings. Complimentary WiFi provided. Bedding configuration will be a king bed and queen sofa bed. Views over downtown Surfers Paradise or the Hinterland. Rooms feature a modern style with natural elements such as timber incorporated in the design. Rooms have views over downtown Surfers Paradise. Rooms are spacious at 27 square metres with air conditioning and can accommodate up to four people. Each room has luxury linen and custom designed furniture. Rooms also feature a private balcony to take in the views, tea and coffee making facilities, mini bar, flat screen television, and safe to store your precious belongings. Complimentary WiFi provided. Bedding configuration will be two queen beds.